All the comfort and health of a roasted chicken supper with half the work and time! 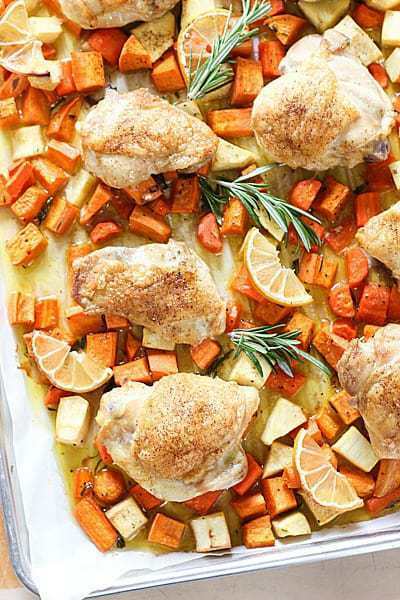 Winner, winner, sheet pan dinner! I’ve become a bit obsessed with easy sheet pan cooking. So far I have shared Sheet Pan Fajitas, Crispy Chicken Sheet Pan Dinner and Chocolate Cherry Sheet Pan Cake. I threw in parsnips, carrots and sweet potatoes, keeping the flavors simple. 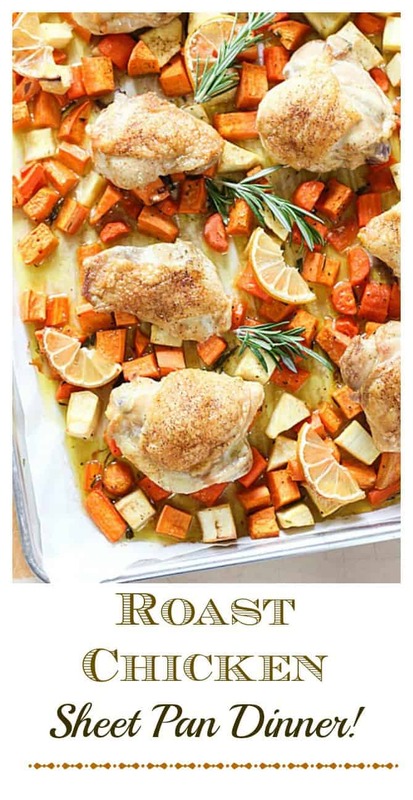 I like the taste of simple roasted chicken and veggies. I used a bit of olive oil, generous amounts of salt and pepper and tossed in a little lemon and rosemary because I had some hanging around. You could change this up with red or white potatoes, brussel sprouts and most any other firm potato or vegetable. You could also switch up the thighs for legs or both. TIP- If using breast meat, best to buy bone in to keep it from drying out. I used parchment but foil works just as well, keeping the clean up easy! Next up…Easy One Skillet Pork Chops in Mushroom Gravy. Yum! 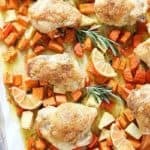 This delicious sheet pan meal comes together quick, and is a welcome change to easy weeknight dinners! 6-8 in bone chicken thighs. Skin on and trimmed. In separate bowl, toss chopped veggies with olive oil, rosemary, lemon juice of half lemon, salt and pepper. Nestle chicken thighs and lemon slices on top of veggies. Roast in oven for 40-50 minutes or until meat thermometer read 165 degrees and veggies are slightly brown. You’re literally saving our lives right now. We started Whole30 about 9 days ago, and we’re starving! Hi Anne! 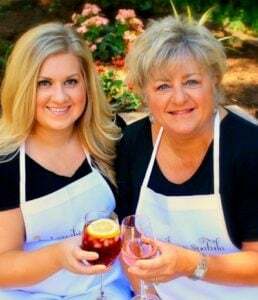 My daughter/partner Rachel is doing the Whole30 too! So glad you like the recipe. Make sure and check them all out…we got tons! Good luck, it’s a lot of work but you will feel like a million bucks!